Supporting social entrepreneurs in the Asia Pacific. Every year, Earth Company selects one Impact Hero – an exceptional social entrepreneur that has the potential to shape the future of developing countries in the Asia Pacific. We provide tailor-made fundraising, opportunity building, and nonprofit consulting services to maximize his/her potential. Nurturing the next generation of change-makers. Earth Company offers transformative, experiential learning opportunities to students and professionals to learn first-hand from innovative practices of social enterprises. The unique experience aims to inspire participants to consider how to carve out careers with social purpose and meaning. Earth Company delivers consulting services tailored to the needs of social purpose organizations. Earth Company consultants offer expertise in grant proposal writing, nonprofit management, and monitoring and evaluation. values quality over quantity and depth over breadth. developing countries in the Asia-Pacific. and read more about our support here. Since leaving PricewaterhouseCoopers as a management consultant, Aska’s career and studies have revolved around the areas of climate change and disaster relief in the Asia Pacific. She managed disaster relief efforts after the 2009 Samoa Earthquake and 2011 Japan Earthquake and Tsunami. Aska served as the Vice President of a climate change NGO, Tuvalu Overview, while working with MIT’s Center for Collective Intelligence to run its crowdsourcing initiative, Climate CoLab, to help solve climate change. Aska has two BAs from Boston University, a master degree from the University of Hawaii with a focus on climate change in the Pacific Islands, a certificate in Marketing Strategy from the Cornell University, and is a certified fundraiser. In 2014 Aska was awarded the Dalai Lama’s Unsung Heroes of Compassion Award. Tomo is a seasoned development professional having lived and worked in various corners of the world from the Tibetan plateau, Indian drylands, Indonesia’s tropics, to Japanese metropolises. He has extensive field experience working for international and local development NGOs across Asia and Africa, including Kopernik, the Children’s Investment Fund Foundation, Save the Children, UNICEF, and The Bridge Fund. He was formerly an Assistant Professor at the Global Leadership Program at the University of Tokyo. Tomo has a BA in Social Anthropology from Harvard College, a Masters in Public Policy from the Harvard Kennedy School, and was a fellow in the Asia Pacific Leadership Program at the East-West Center. In 2014 Tomo was awarded the Dalai Lama’s Unsung Heroes of Compassion Award. After graduating from Kyoto University, Goro started his career at Nomura Research Institute in management consulting. However, with an interest in social entrepreneurship, Goro attended an Earth Company study tour, which led to him joining the Earth Company team! Having worked in HR for Japan Co. Ltd (now Softbank Telecom), Tomoko moved to the US to study at Columbia University’s Graduate School of Education. She then moved into leadership development and is now focused on developing the two young leaders that are her children – an excellent case study right at home.Associate Certified Fundraiser. Yukari brings with her a wealth of experience working for the Swiss financial firm UBS, managing academic programs at the Tokyo University, and operations at the Harvard Business School Japan Research Center – all with a motherly smile and assuring attitude. 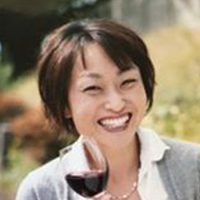 Noriko has extensive experience in career consulting, human resource development, and communications and is a qualified international master of “Food as Medicine”, sommelier and vegetable sommelier, all whilst bringing up two children!Associate Certified Fundraiser. Over 10 years of experience working in the areas of International Development through NGO, the Embassy of Japan, and Japan International Cooperation Agency (JICA) in Asia, Africa and the Pacific. I love going on hikes, jogging and planning for the next adventure. Misaki was a social game producer, but after the Great East Japan Earthquake she quit her job and founded an NGO to improve disaster relief and response. In 2018, she was selected as one of 22 international “Women in Business for Good”. She has since founded a PR company for social businesses. Misaki joined an Impact Bali tour in 2018 and is now crazy for Ubud. Her hobbies are NETFLIX and surfing. So is a senior student at Waseda University. He has been engaged as a volunteer in Indonesia and studied at Universitas Indonesia as an exchange student. So’s hometown is Hokkaido, but he will take any opportunity to put on his backpack and travel around Asia! Sara brings 13 years of experience working across a variety of industries from major Indonesian TV station to an oil company in Australia. A recent mother of two, Earth Company’s vision is near and dear to her heart. Living on the island of Bali for the past 10 years, Sara has witnessed firsthand the unchecked growth of her nation. And as an avid diver, Sara is confronted with environment’s fragility every time she descends below the waves. Audrey has a background in international relations and education, originally from Jakarta Audrey is happy to call Ubud home. Audrey enjoys exploring independent bookshops, gardening, and trekking. With over 15 years’ experience in the Bali travel industry, our Study Tour Coordinator knows Bali so well he’s even beginning to look like a local! Detail-oriented by nature, Maeda-san keeps Earth Company’s tours organized. Having worked for UNICEF and Save the Children in less travelled places like Somalia and Afghanistan, Shunsuke recently returned to Tokyo. He currently works for JICA to improve the learning experiences of children and youth around the world. Fumi has been pursuing her passion for developing innovative ways to solve social issues throughout her career, from an international development organization (Plan China), a French Bank (Dexia), a think tank (the Japan Research Institute) to her current role with the Japan Social Impact Investment Foundation. Her other passion is enjoying life with her husband and their young son. Takuya worked for PwC Japan’s Audit and then Consulting Divisions before becoming CEO of Social Venture Partners (SVP) Tokyo in 2011. He is a member of the board of Katariba, a Tokyo-based nonprofit, and heads a group called Social Management LLC. His hobbies are travelling, kick-boxing and surfing.